I am obsessed with turtles, its true I really am. When I was 5 years old my parents took my sister and I to the Red Cedar River in Downsville WI. It’s a tiny little town nestled on the banks of the river, there was a drought that summer so the torrent river was now a trickling stream. The beach was wider than normal, yet it was a hot bed of treasures. I cast my sandals a side and started combing the beach for rocks, shells, fish bones, and dead fish that I could throw at my sister. 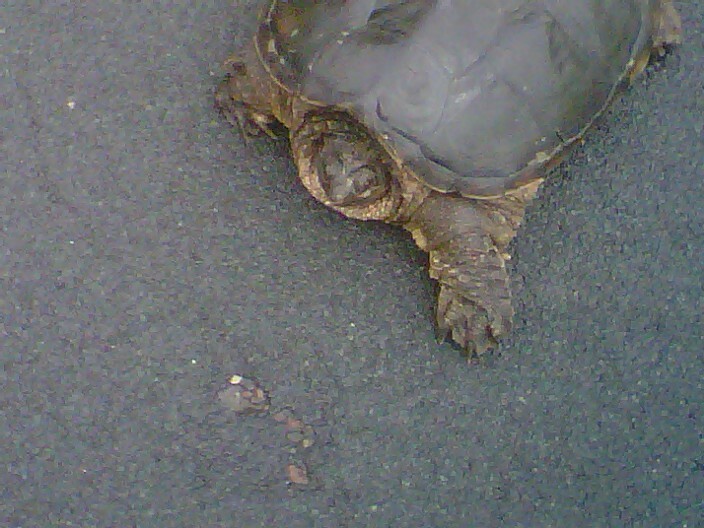 As I walked along I noticed something sitting on the beach, realizing it was a turtle shell I picked up my pace. When I got there, the turtle was nowhere to be found, his shell was empty. Flustered I began to dig in the sand and look around me, I didn’t see a naked turtle. I decided that he went for a swim. So I sat down next to the shell and waited for the turtle to come back. My father noticed that I had been sitting by the bank for quite sometime and was wondering what his little explorer was up to. He came down pulled me into his lap and asked me “Mannie what are you doing?” Waiting for the turtle to come home I said as I eagerly explained that the turtle left his shell. My dad asked me ” Do you mind if I wait with you?” Sure I said, maybe seeing two people will make him come back faster. So we sat there along the banks of the Red Cedar waiting for this turtle to come home. By this time my Mom was confused as to what we were doing and dusk was starting to settle in. She came down and I eagerly explained that the turtle went for a swim and that I was waiting for him to come home. Holding the empty shell in my hand. My parents gently explained that the turtle wasn’t going to come home and that he was no longer apart of this world. I burst into tears and would have none of it, I was determined not to leave that beach until the turtle came home. My dad scooped my thrashing five-year old self up in his arms, and carried me to the car. My Mom, she scooped up the shell that I had been babysitting so eagerly and tucked it into my bucket. I was so upset and angry at my parents for not letting me wait for the turtle to come home. Every time we went back to the river, I would look for my turtle, I admit, even at 28 I can’t help but peek into the water, to see if there is a naked turtle swimming around. I still have that turtle shell, It sits on my side table in my living room. Some people are freaked out by it others wonder if its real. It’s real all right and this brings me to my next part. For me turtles represents slow and steady wins the race. Culturally Turtles remind me to stay grounded and to only carry what I needed. Native Americans call North America Turtle Island, the turtle gave his life so that we could have a place to live during the great floods. Yet, this past sunday God Mama gave me a new meaning for turtles. Frustrated with dating I told her I was tired of frogs and that I didn’t want to keep on kissing frogs until I find a prince. That I was done trying to find the one. She said to me “You like turtles right?” Well duh of course I do! “Well then, you need to kiss a lot of turtles in order to find your prince, so go out and get those turtles lady.” So that is what I am doing I am going on dates with turtles until I can find the one to fill my empty shell and feel at home with. So bring on the turtles! « Your Red is Showing…….